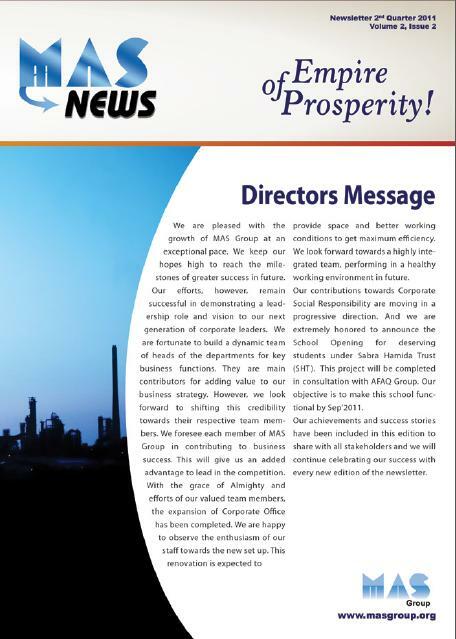 MAS Group has issued its 2nd quarterly newsletter. The newsletter briefs about the current activities of group companies and promotes the two key brands ZIC and ZIPEX. This newsletter will be a source of in-house information for friends and corporate companions. It will also act as a source of motivation for the company employees as it will highlight their achievements based on their performances. Groupâ€™s social as well as corporate level activities will also become an important part of the upcoming editions.